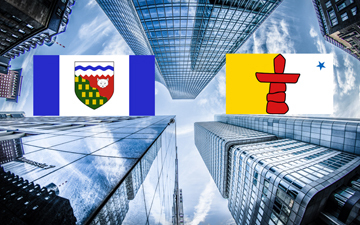 TORONTO, January 25, 2019 – With the proclamation of statutes creating the Chartered Professional Accountants of Northwest Territories and Nunavut (CPA NWT/NU), unification of the Canadian accounting profession is now complete. A process that began roughly a decade ago and included 40 accounting bodies representing three legacy designations concluded with proclamations by both the Government of the Northwest Territories and the Government of Nunavut on January 8, 2019. The transition steering committee comprised two representatives from each legacy designation plus a lawyer specializing in corporate governance, corporate-commercial law, and aboriginal law in the Northwest Territories and Nunavut. There were two legislatures involved and “precisely matching” legislation was required in all the official languages: English, French, Inuktitut and Inuinnaqtun. “It is not common now to have legislation that covers both the Northwest Territories and Nunavut. I believe it is only the second time it has been done,” explains Cathy Cudmore, a former chair of the Certified General Accountants legacy body and a member of the Transitional Steering Committee. Matthew Bannister, a member of the transitional steering committee former council member of the Institute of Chartered Accountants of the Northwest Territories and Nunavut, was elected the first chair of the unified organization.